LONDON - At the side of Queen Elizabeth II for more than 70 years and reputed for his gaffes, Prince Philip is also a painter and fan of carriage driving. Here are some lesser-known facts about the husband of the world's longest-reigning monarch, on the occasion of his birthday on Sunday. Philip, born in 1921 on the Greek island of Corfu where he lived until he was 18 months old, made a number of sacrifices in order to marry Princess Elizabeth in 1947. He had to renounce his title of Prince of Greece and Denmark to take up British nationality, in return becoming Duke of Edinburgh just before his marriage, and Prince of the United Kingdom in 1957. Philip also had to give up active duty in a promising career as a naval commander after his wife was brought to the throne on the death of her father, King George VI, in 1952. He was obliged to convert from Greek Orthodoxy to Anglicanism in order to marry, and reportedly stopped smoking just before the wedding to please his bride. 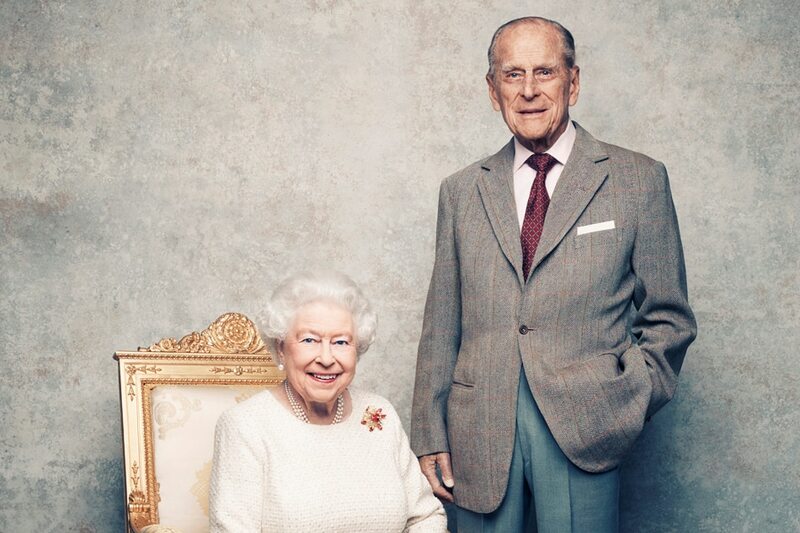 Queen Elizabeth II described the Duke of Edinburgh as her "strength and stay". But when she fell for him as a young woman, the Royal Family was reportedly less than convinced. One insider was widely quoted by media as saying it was felt that the young navy officer was "rough, ill-mannered, uneducated and would probably not be faithful". The palace tried to introduce her to more acceptable suitors. The elite in the post-World War II era were in particular uncomfortable with his German relations. Elizabeth's mother, herself queen, was reported by ITV television to have privately referred to Philip as "The Hun". But the young woman won through and married her prince, although his sisters -- married to German aristocrats -- were not invited to the wedding. Prince Philip's nickname for his wife became public with the 2006 film "The Queen" in which, as he gets into bed, he tells her to "move over, cabbage". "I inquired in royal circles and was told on very good authority that that is what the duke sometimes calls the Queen," the film's screenwriter Peter Morgan told The Times newspaper. The term of endearment may come from "mon petit chou" -- "my little cabbage" in French, a language Philip picked up living in France for 7 years as a child. Relations between Philip and his eldest son, Charles, were "never particularly close" and fell to an "unprecedented low" in 1995, according to the Mail on Sunday. Quoting sources close to Charles, the paper said the 2 were "at war" in the wake of the Duke's decision to fell 63 ancient oak trees at Windsor Castle. The paper said the prince had launched a savage attack in private on his father, accusing him of vandalism. Philip, who had a reputation for coldness towards his children, sent Charles to the stark Scottish boarding school of Gordonstoun, where he had once been head boy himself. Charles was widely reported as describing the institution as "Colditz in kilts", a reference to a German prisoner-of-war camp. Philip is well-known for a love of horses and the equestrian activities of polo and carriage driving, a sport in which he competed for Britain. He is also a writer and an accomplished pilot. However the prince's passion for painting is more discreet. Perhaps his most famous work is a 1965 image showing his wife at breakfast reading the morning papers and titled: "The Queen at Breakfast, Windsor Castle".